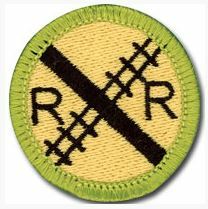 On Saturday, August 31, 2013 we will be putting on a Railroading Merit Badge Clinic. It will start promptly at 9 a.m. and end around 4 p.m. In the afternoon, we will be taking a trip the Chehalis-Centralia Railroad and Museum. Pre-Work: Print off the Merit Badge Worksheet from here: http://meritbadge.org/wiki/index.php/Railroading and complete 3a. The worksheet must be filled in to receive credit. You will have to do some internet searching to learn about it.